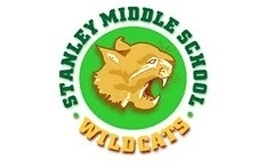 Click on your school logo below to go to your school's Mascot Day Site. By visiting your school Mascot Day site, (links below) you will complete all of your online school registration activities. If you have children at more than one school you will need to visit each individual site. When you have completed one school's process, simply close the browser window to return to this page to continue to the next school's site. TIP: Please follow each school's instructions for printing confirmations when prompted - having these forms will expedite your Mascot Day experience. If you have questions about this process, please contact your schools directly. Mascot Day for all schools is Monday, August 20. Please refer to your August mailer for exact event times for your school. Make sure to return to RegHub to complete step 3 which contains the district forms and is needed to complete Mascot Day Registration.